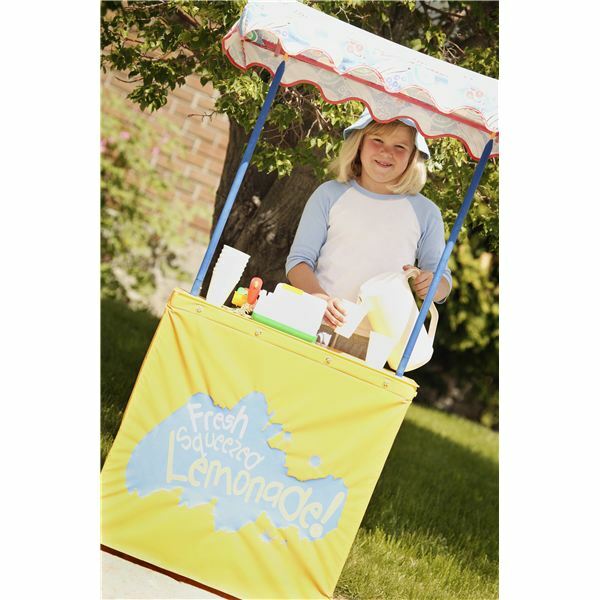 Many children will naturally attempt to sell things to make money at some point. They will want to start their own business or create a product. Business is part of their world, and they want to understand it. It doesn’t hurt to encourage your little entrepreneur. By exploring entrepreneurship at a young age kids will be learning skills and attitudes which will help them to be successful in later years. There are a number of what I call “Business Brain” skills and attitudes which you can encourage in your children. What follows is a discussion of the key business brain skills and some ideas for how to encourage these skills at home. Creativity doesn’t just mean that kids can draw, act or play music. It means having the ability to see things differently than the people around you. It means being able to use your mind’s eye to plan, design or create something of value. Many companies are looking for employees who are disruptive innovators. These are truly creative people who have the ability to create something that completely disrupts the normal way of doing things. For example Craig’s List and Kijiji where disruptive innovations. They took classified ads out of the newspaper and put them online completely changing how classified ads work. By encouraging your child to consistently think and go about things differently than others do you are helping them to become disruptively innovative. When your child whines the dreaded words, “I’m bored”, challenge them to find interesting ways to entertain themselves. You may even want to have them write a list of things to do and keep it somewhere so that you can whip out that list before they’ve finished the word “I’m”. An added bonus to the “never say, I’m Bored” strategy is your kids will be way less likely to grumble about being bored if every time they complain you give them a list of things to do! Often kids will not even try something new because they are afraid that they will fail. This need to succeed at everything attitude is, in my book, one of the most destructive societal constructs there are. Failure is a good thing! It helps us learn, motivates us to do better, and drives us to succeed in spite of our natural limitations. I tried out for the school play twice a year for four years before I got in, by the end of high school I was the lead in the final play. I sucked at writing in school but my natural disinclination towards writing withered as I battled through my University English classes. So, if your child is becoming a failure fraidy-cat you should ask them – WHAT DO YOU REALLY HAVE TO LOSE BY TRYING??? Getting good at something might take persistence, handwork, embarrassment, time and/or tears; but, the trade-off is finding something that they might be fantastic at and passionate about. Teaching your child to battle through, not give up and keep trying is a long-term project. That said, here is a quick activity that your could do to encourage your child’s never give up response! What did you like about this? What didn’t you like about this? What did you see other people doing that you think made them better? How did they get better at this? Is this something that you would like to get better at? What would you do next time to improve? Try to keep gloating and bragging to a minimum and focus on the things your child did well. Use language like “It really impressed me when you did _________ .” Keep things upbeat and positive and keep the emphasis on the fact that your child tried. Remember to encourage your children to try new things at every opportunity. This includes new foods, games, sports and challenges. When they don’t do as well as well as they hoped unpack it with them by asking what they learned or what they saw others do which gave them an advantage. You want to teach your kids how to synthesize their skills, interests and talents in order to come up with the next must have product or service. You also what to show them how to improve how we do things or how we make things. The first step to being able to do either of these things is to be able to identify the opportunities around them. Opportunities arise from a combination of factors and teaching kids to recognise these factors will benefit them immeasurably. Show your kids that different items or services will appeal to different people, at different times and for different reasons. What they need to learn how to pin down is how to have the right product/service at the right time, in the right place and to get it to the right people. Here is a very simple way to help your kids identify opportunities around them. Walk around your community and talk with your kids about what opportunities there are for services in your neighborhood. Are your neighbors lawns in need of cutting? Are people hot and in need of ice cream? Would people like to rent a Frisbee/ball/baseball glove or other outdoor equipment at the park? etc. Talk with your kids about what types of needs (opportunities) they see around them and then brainstorm possible businesses that they could create to address those needs. Go into the garage or kitchen and pull out a couple of items – brainstorm with your kids how it could be made better. Have your kids look around at school and think about what other kids or teachers need/want. Then get them to think up products or services that would appeal to that very captive (a potentially profitable) market. The object is not necessarily to get them to start-up a business around something that you have discussed, but it is to help them see and eventually take advantage of the opportunities around them. You want to make sure that your kids have all of the right skills and attitudes to help them not just survive in the “Real World”, but flourish. For more engaging money and business activities to do with your children take a look at www.truesmarts.com. About the Author: Cindy Duffin was educated at the University of Victoria, and became a qualified high school teacher in early 2004. She has a passion for education and is deeply interested in helping kids and teens develop real world skills which will contribute to their future success. This, combined with the fact she was raised by successful entrepreneurs who taught her business and financial management, made her a perfect candidate for Senior Editor of www.truesmarts.com. This site helps kids to gain a solid foundation in Business and Money Management.